Pug begging for an early dinner. Every afternoon, the same scene plays out with our pug Nickie. The hour before dinnertime is like a long road trip with a car packed full of family members asking if you’re there yet. Nickie parks herself as close as possible and looks up expectantly, seeming to ask if it’s dinner time yet. She’ll wait a minute or so, stand up, and then sit down again with a huff, as if to inquire “How about now?”. 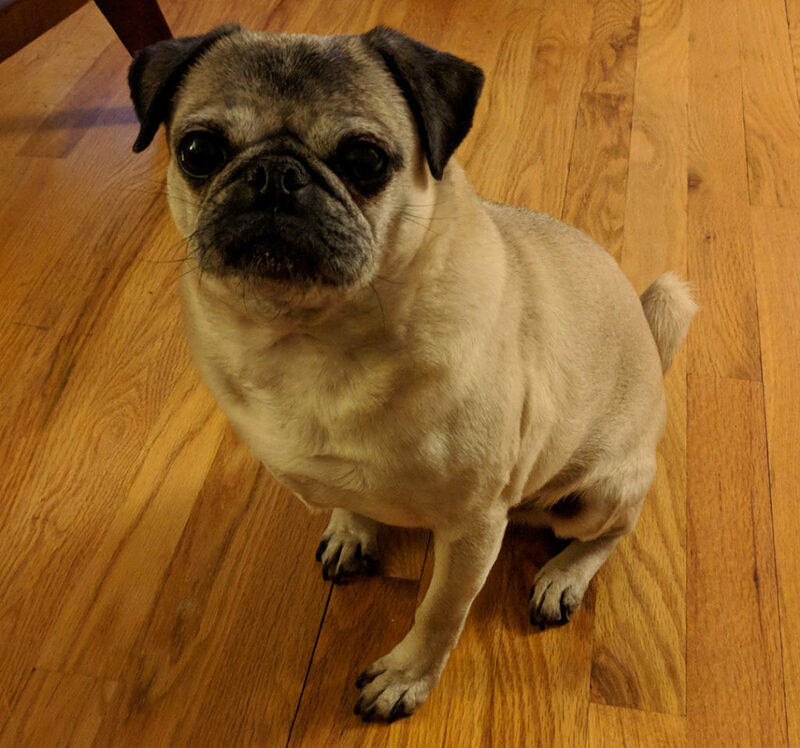 Nickie can be one impatient pug, and dinner time is her favorite time of the day!